The character, personality and achievements of Sir Brother Pat Lynch KNZM, QSO, certainly justifies the writing and publication of his biography. His fellow teachers and principals will welcome it. However, it is much more than the story of a well-liked and hugely respected educationalist. It records the history of the Catholic school system over more than four decades since Parliament passed the Private Schools Conditional Integration Act. For 25 of those years Br Pat was Director of the New Zealand Catholic Education Office, and a remarkably influential player in ‘establishing’ Integrated schools as a vital and valued sector of New Zealand’s state education enterprise. 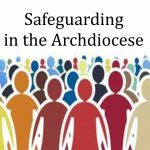 The book is essential reading for teachers and principals, and all interested in our Catholic schools. The lead-up to the Integration legislation of 1975 has been recorded in Rory Sweetman’s: A Fair and Just Solution? A history of the Integration of Private Schools in New Zealand. 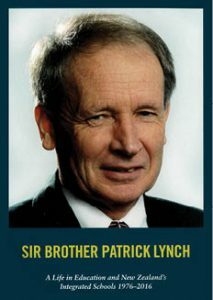 The story of Sir Brother Pat Lynch is also the story of the implementation of that legislation right up to the year of his retirement, 2017. In the early chapters, the book tells of Br Pat’s life from infancy and schooling in Papatoetoe, becoming a De La Salle Brother, career as teacher and 15 years as Principal of De La College in Mangere. It then details Br Pat’s years, 1994–2017, as the tireless, wonderfully effective and creative NZCEO Director. Br Pat accepted the daunting challenge of leading the NZCEO in 1994 following the retirement of Fr John O’Neill. He brought to the task years of invaluable experience as teacher and administrator, and had already built up warm working relationships with fellow principals, the teacher unions, and the then Prime Minister and Minister of Education, David Lange MP for Mangere. 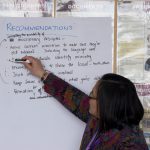 Pat had been a founding member of the Secondary Principals Association of NZ (SPANZ), serving as its first Vice-President, then President for four years, during which time he gained an impressive national profile as an educational mover-and-shaker. Major problems confronted integrated schools. Although legally State schools, they were not treated equitably by the state education authorities. 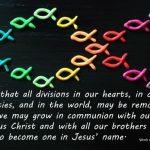 For Br Pat no problem was insoluble; any difficulties could be overcome with patience, honest dialogue and genuine goodwill. And so they were, whether relating to property, financial assistance, administration or educational attainment. His working relationships with successive Prime Ministers, Ministers and of Education and the Ministry itself, are described in later chapters. He comments positively and warmly of all, with many of whom enduring friendships were established. Also treated are the changes in education brought about by Picot Report, Tomorrow’s Schools, the Education Review Office, and other reforms. Br Pat’s convictions gained from his practical experience also put this book into a ‘must read’ category. The reader will learn from his educational philosophy and teaching tips, that make the modest price of the book a bargain. Sir Brother Pat has been an amazingly competent educational leader and an invaluable gift to Catholic education in New Zealand. So too is this splendid biography. Publisher: Penguin Random House, 2018. Special purchase price: $25 plus $5 courier cost (within NZ). The New Zealand Catholic Education Office is an agency of the NZ Bishops. It was established to assist the negotiations that culminated in the integration of the Catholic schools and colleges onto the State education system. Its founding Director was Mr Pat Hoult, and Fr John O’Neill sm his successor, both members in the team of Catholic negotiators. Their efforts resulted in the Private Schools Conditional Integration Act of 1975. It was the key to survival of the Catholic school system. Progress was achieved in a series of phases, distinct but overlapping. The first was to upgrade the schools to State Education Building Code standards as specified in each school’s Integration Agreement. The second was to establish structures for effective collaboration for the Catholic proprietors ‒ ie, the Bishops and the Religious Congregations. Phase three was financial management: despite almost overwhelming indebtedness new loans had to be secured and serviced. A fourth phase was the recruiting, training and supporting of competent principals, teachers and Directors of Religious Studies to maintain and deepen the Catholic Character of each school. Concomitant with those phases was the concern to ensure educational excellence.